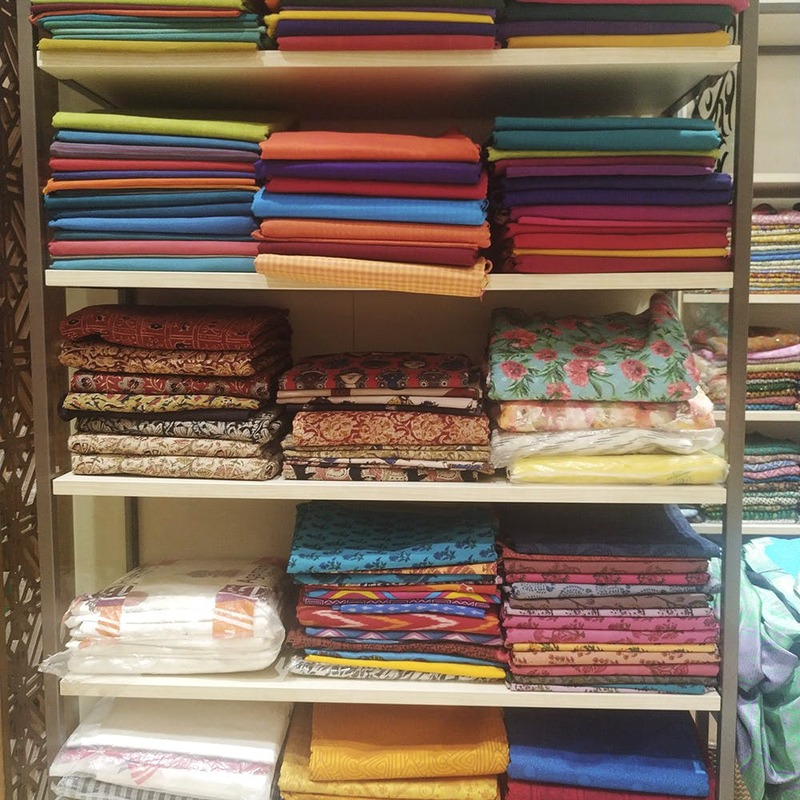 If you were wondering where a lot of brands get their fabrics from (we’re looking at you, FabIndia and Madhurya), check out Sharada Silks in Koramangala for reasonably priced fabrics. Located on the Anand Sweets road for ages now, Sharada Silks has recently renovated and looks glossier. From handloom silks to yards of printed cotton material, you get a variety of fabrics here at reasonable rates. Kurta sets for daily wear and special occasions are available in bright colours and funky patterns. They also have palazzo and straight cut cotton pants that let your skin breathe making them great for summers. Also stocking more than just the basics, you will be guaranteed to find an attire for literally any occasion. Be it lehengas, sarees, kurta sets or even ethnic and Indo-Western dresses, you’ll find that Sharada is a one-stop-shop for many. So the next time you shop here and someone asks how you can afford so much from FabIndia, just smile and keep your lips sealed (shhh, you don’t want people to know where you’re finding your loot!). Starting at INR 100 per metre, just stock up on fabrics to your heart's content.